Helsingin Sanomat reports on a study carried out at the University of Helsinki which shows that the lowest levels of voting in parliamentary elections are to be found among low-income groups, people engaged in physical labour for a living, the young, voters in eastern parts of the country, and Finnish citizens living abroad. The paper points out that it would be well worth the while of candidates and their parties targeting these groups, as a third did not cast a vote in the last parliamentary election. University researchers found wide variation in voting behaviour according to profession. For example, in 2015, only 53.6 percent of people working as waiters voted. Meanwhile, members of upper management in civil service jobs and associations voted at a rate of 96.6 percent. The lowest level was among voters engaged in physical labour such as window washers, kitchen staff, construction and warehouse workers. In this category, fewer that 60 percent cast a vote last time around. Voting behaviour also varies by location. Voters in eastern parts of the country are less likely to go to the polls than those in the west. Age is also a factor. In 2015, only 43 percent of 20-year-olds voted. The most active voters were 70-year-olds, 84 percent of whom cast a vote. The lowest level of voting activity was found to be among the some quarter of a million Finnish citizens living abroad. Researchers found that since the 1980s voting activity in this group has ranged between 5.6 and 10.6 percent, but has been on the rise over the past two decades. 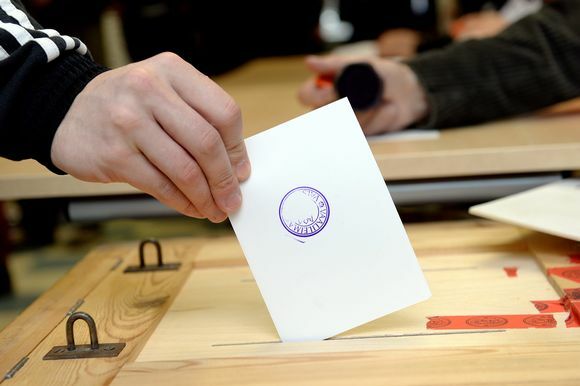 For the first time, they are allowed to cast absentee ballots by mail in the upcoming parliamentary election. The newsstand tabloid Iltalehti reports that police in Helsinki are currently investigating four cases of the purchase or attempted purchase of sexual services from minors. The paper notes that several recent studies have pointed out the dangers of teens being vulnerable to traffickers. Police say that some of the approaches made to minors have occurred in public places such as shopping malls and transport stations. According to the police, there are fewer than 10 minors in the capital region professionally offering sexual services. As Iltalehti writes, offers of sexual services online or otherwise by minors or adults exploiting minors is not a new phenomenon, but the situation is not getting better. Detective Chief Inspector Saara Asmundela of the Helsinki police told the paper that there is a constant flow of reports of attempts to purchase sexual services from minors. "It's not a matter of children selling sexual services," Asmundela told Iltalehti. "Rather it's the purchase of sexual services from them. Only purchasing is a criminal act under law." Turku's Turun Sanomat was one of the paper reporting Monday that taxi deregulation that took effect last summer has raised prices in some areas and lowered them in others. A survey by the Finnish Transport and Communications Agency shows that taxi prices have gone up in the regions of Kymenlaakso, Uusimaa, Kainuu, Päijät-Häme and Pirkanmaa. In contrast, they have declined in six regions, the most in Kanta-Häme and Varsinais-Suomi. Despite higher fares in some areas, the Ministry of Transport and Communications denies that deregulation has failed. Among the reforms introduced last summer was a dismantling of price regulation. Monday's Metro freesheet tells us that unseasonably warm weather looks to be on the way later this week. The next few days will remain chilly, and include rain or sleet, but later in the week, the weather, especially in southern parts of the country should be sunny with temperatures edging up to as high as +10C. While this is warmer than statistically normal for late March, it is not exceptionally so, and not close to record warm.